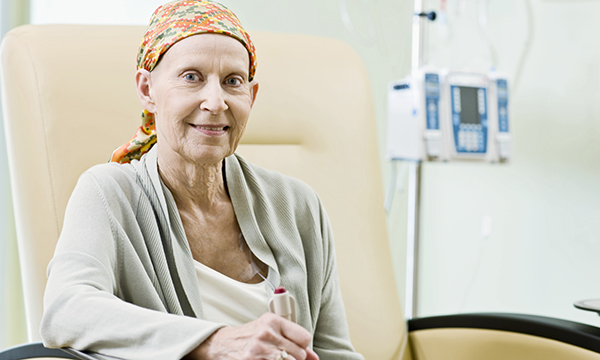 Providing a peer advocate role to people who are in cancer care settings. No two people have the same experience of cancer, but many people share common issues and concerns – peer advocacy taps into the existing expertise of individuals to empower people affected by cancer to better manage their illness. Our referrals come from a wider range of sources – from self-referrals, community organisations and from health and care professionals. The nurses we work with tell us that advocacy can help them in their role by ensuring that older people affected by cancer attend appointments, use consultation time as effectively as possible, helping older people engage in decision-making, and follow treatment regimes. Nurses value the time that peer advocates have to give, and when they see that someone is struggling and they’d like to give them more time but aren’t able to, that’s often the point when they refer their patient to us for additional support. Let me tell you about Mike; his case highlights some of the many issues advocates support older people affected by cancer with, and the benefits of the service. Mike was in recovery from alcoholism and had just had a diagnosis of diabetes when he was diagnosed with cancer. He describes feeling terrified and disillusioned, sometimes suicidal. Mike’s peer advocate Bob has had cancer himself; in Mike’s words Bob was ‘someone who had been there’. Bob helped him to feel more confident going for treatment and check-ups, to make decisions and speak to health professionals – something Mike found ‘terrifying’ in the early days of his diagnosis. Bob helped Mike with a wide range of issues; helping to organise his paperwork, identifying pensions, speaking to HMRC and helping him to complete his tax form, encouraging him in his progress to overcome alcoholism. Bob encouraged Mike to take steps to pick up the telephone and return to the local project who were supporting him with his recovery after he lapsed following his cancer diagnosis. He was there to reassure Mike about side effects of treatment, ensuring health professionals were made aware that Mike could feel claustrophobic in smaller spaces. Advocacy returned Mike’s voice, empowering him to get back on his feet and putting him back in control of his life. We’ve supported over 1,600 older people like Mike to date, putting them in contact with 216 well-trained and supported volunteers like Bob. The Cancer, Older People and Advocacy (COPA) service is a partnership programme between the Older People’s Advocacy Alliance and Macmillan Cancer Support. The service is available in ten areas of England and one in Wales, funded by Macmillan and BIG Lottery.